Do you know that feeling when you look at something and think, this is simply too awesome to fit into a normal sized photo? That feeling is what this post is for— the below photo-heavy collection of all the best panoramas I took in New Zealand. 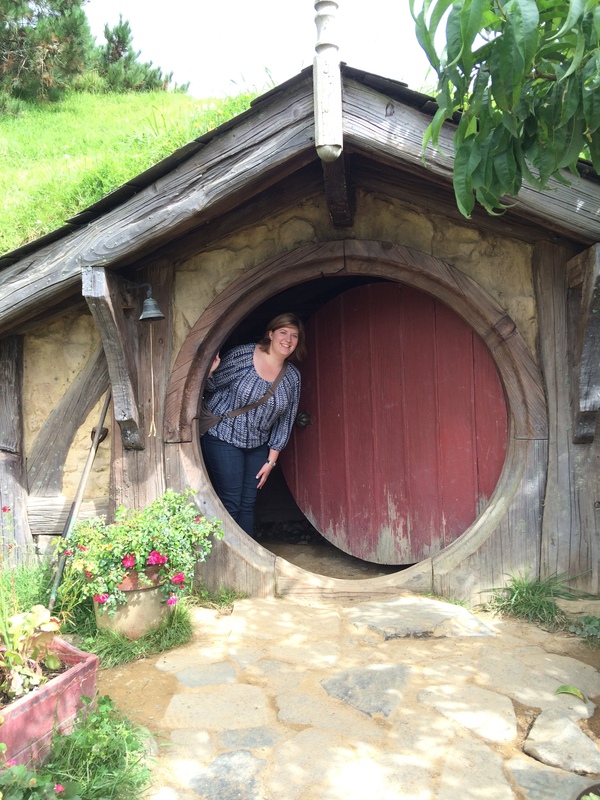 A view of Hobbiton- can I just move to the Shire and live there?!! 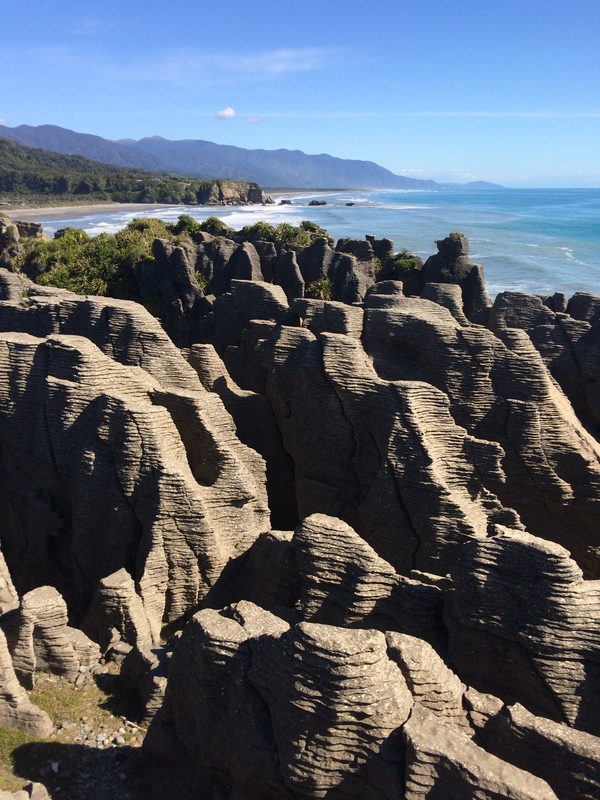 These are the “Pancake Rocks” in Punakaiki on the South Island’s western coast. A stream near Glenorchy, where a scene from Lord of the Rings was filmed. Can you just picture Sam and Gollum arguing about how to eat rabbits and chips, right before Frodo looks over at the Southern Armies and their Oliphants? Because that was right here. Just standing in Lothlorien, enjoying the forest and the trees. This is a field outside of Glenorchy (in the small town of Paradise). A nice shot taken of the lake in Queenstown. Sunset on the beach in Greymouth city- you can also walk along the beach looking for stones and jade. I found some rocks that may or not be jade; I’m not an expert and can’t tell. The sunset rocked anyway. 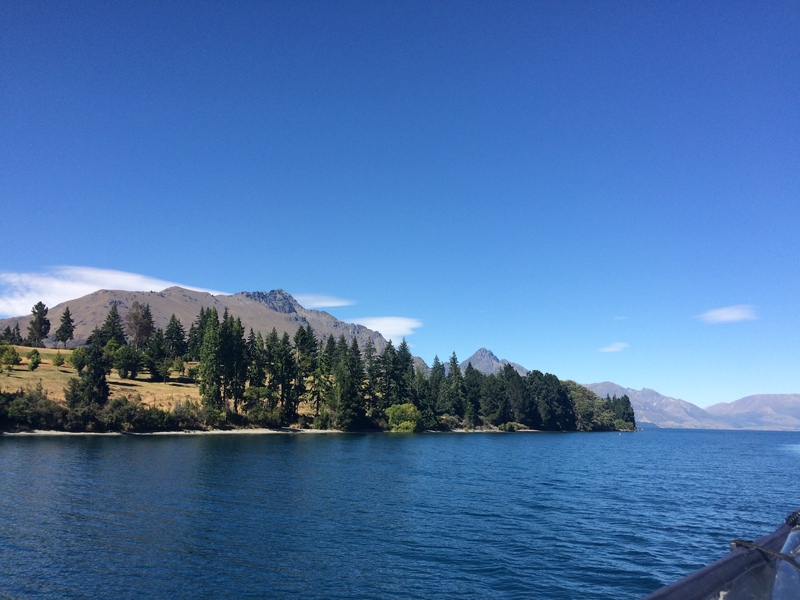 So, this will be the first post of many detailing my vacation to New Zealand, because there is simply too much to cram into one post. First of all, New Zealand is a beautiful place with wonderful people, delicious food, awesome wine, and tons of gorgeous scenery. I know it is hard to get to for a lot of people because of its location and the cost of airfare these days, but it’s still well worth traveling to at some point in your life. I think there is something for everyone no matter what kind of vacationer you are. For this first post, I am going to share some highlights and some insights! There is so much from New Zealand that it is impossible to see everything, so you really have to pick your priorities, and base it on how much time and money you have to spend! My trip was about six days, and included the north and south islands. Most online sites and guidebooks probably would have recommended two weeks for what I accomplished in my six days, but I still felt like it was well worth going, even if I skipped some stuff. As for lodging and transportation, there are of course different ranges, so if you want to backpack the whole thing, many people do that, while others opt for the full-on guided tours and hotels the whole way. I picked the middle ground of staying in motels (that were still very nice!) and renting a car so that I could go wherever I wanted, and didn’t have to pay tour companies to show me around. (nerd alert!!) If you’re a Tolkien fan, or fan of any movies really, New Zealand is great for wandering around and looking at sites where the Lord of the Rings and Hobbit movies were filmed. At one point, I stood in the forest of Lothlorien staring at the tree they modeled Treebeard after. My first day after arrival I headed to the Hobbiton movie set- this is where they filmed the shire from the Lord of the Rings and the Hobbit movies. The sets for the Hobbit movies were made out of permanent materials so that they could remain there and be set up for tourism. Although I am not a huge proponent of silly tourist traps, I am a big nerd and I admit this was absolutely awesome. Tours are a few hours, starting from The Shire’s Rest cafe, and are guided, ending at the Green Dragon Pub for some nice brew (made on site). Do you like freshly prepared and amazing tasting food? Do you like wine? If you answered yes to either or both of those questions, you will enjoy eating and drinking in New Zealand. There are several wine countries, and I visited wineries in Marlborough (top part of south island) and Otago (south island near Queenstown), but there are many different options for wine tasting and exploring. And of course, any restaurant you go to has many local wines for you to enjoy with your meal. 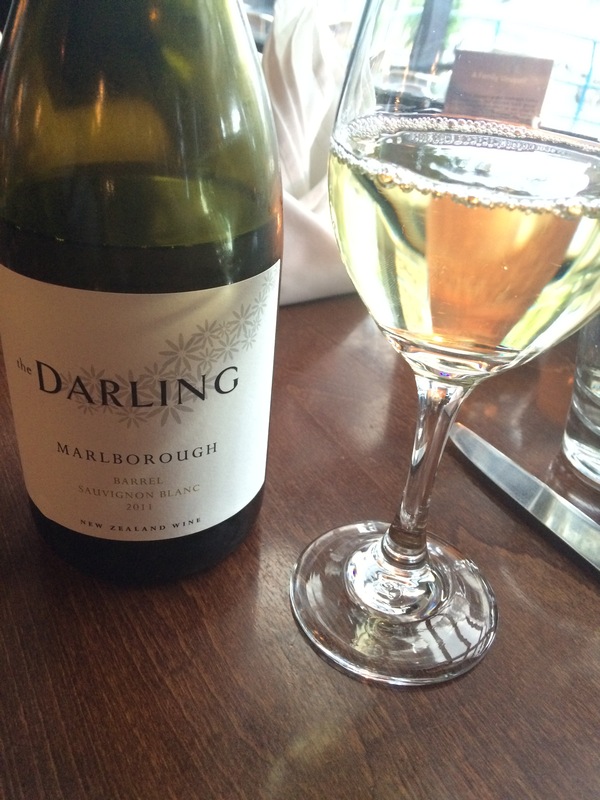 Sauvignon blanc for the win. I was also blown away by the scenery I encountered throughout the whole trip. There are so many interesting and unique geological wonders to discover, and there is a place for you whether you like beach or forest. On my trip down the west coast of the south island, I saw glaciers, the very aptly named “pancake rocks” lovely beach sunsets, lots of farmland and sheep of course, lakes that stretched for miles, and mountain forests with mixes of trees I had never seen before. Oftentimes when I was driving, I had to pull off the road (on the designated look out points of course), and just get out of the car and stand in awe at the beautiful views in front of me. And then I snapped pictures of said views and immediately posted them to social media because I couldn’t help myself. Stay tuned for more posts detailing a few of the cities I visited, and obligatory awesome photographs!